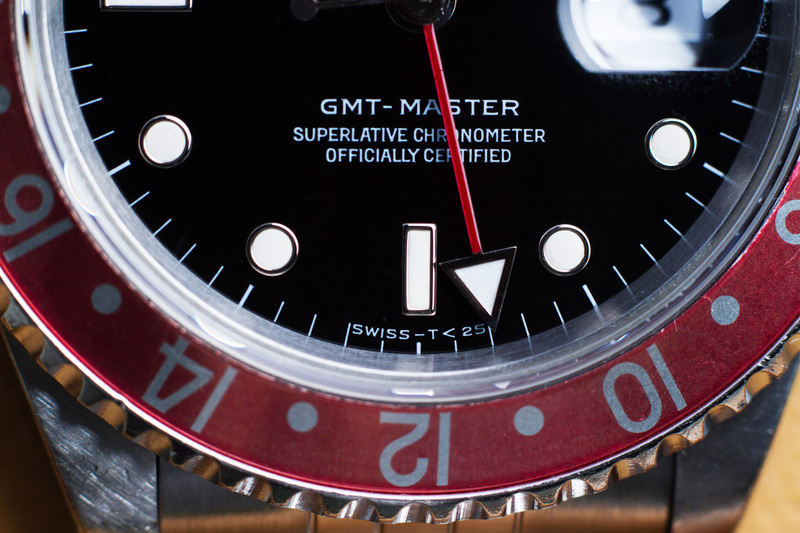 We’ve got our hands on another very attractive Rolex GMT-Master. 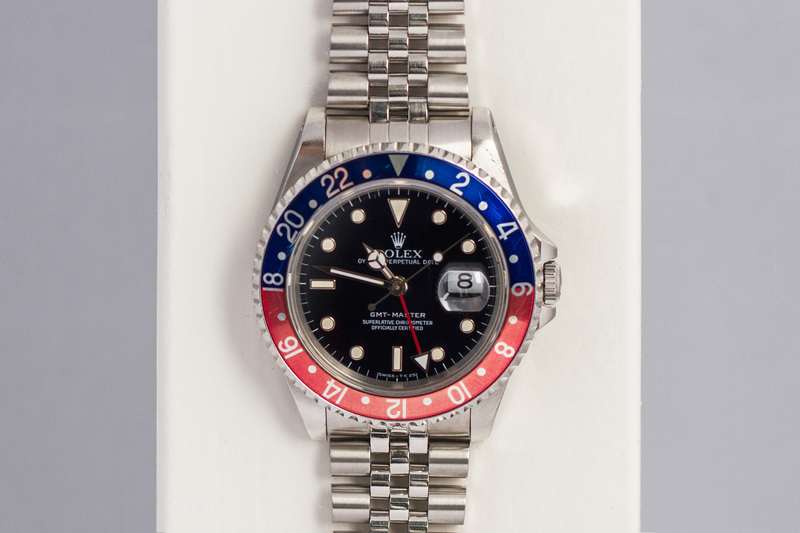 This time its an early reference 16700 with a wonderful glossy dial and Tritium markers and hands. The watch itself shows little traces of polishing but If you look carefully you can still make out the chamfers which are visible on the edge of the lugs. The entire case and crown-guards are nice and fat and from a side-view you can clearly see where the sharp lines of the center-case meet the lugs on top and the case-back at the bottom. 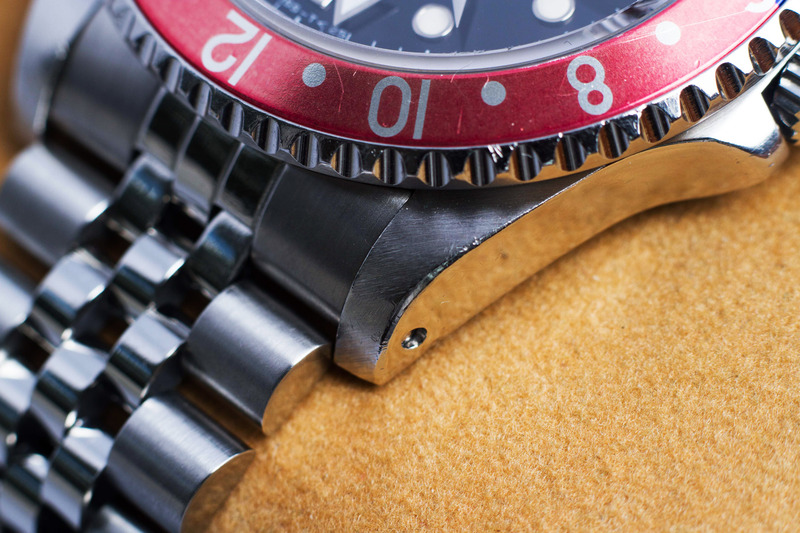 The steel edge on the bezel is still very sharp and the original aluminum inlay has faded wonderfully throughout the years and changed color to a very attractive dark pink and metallic blue. The black glossy dial features white gold hour- markers filled with Tritium, this Tritium has slightly changed color to an attractive eggshell tone with all hands matching this same tint! 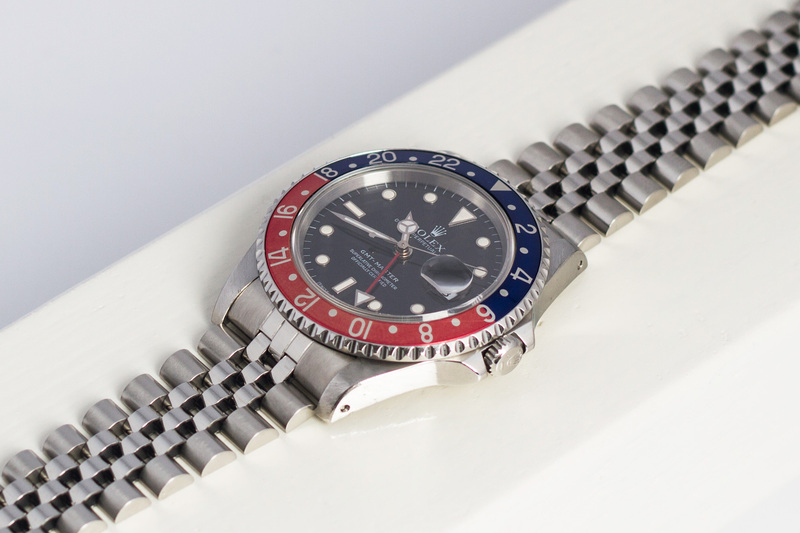 The faded Pepsi inlay and killer Jubilee bracelet complete the vintage look of this wonderful GMT! 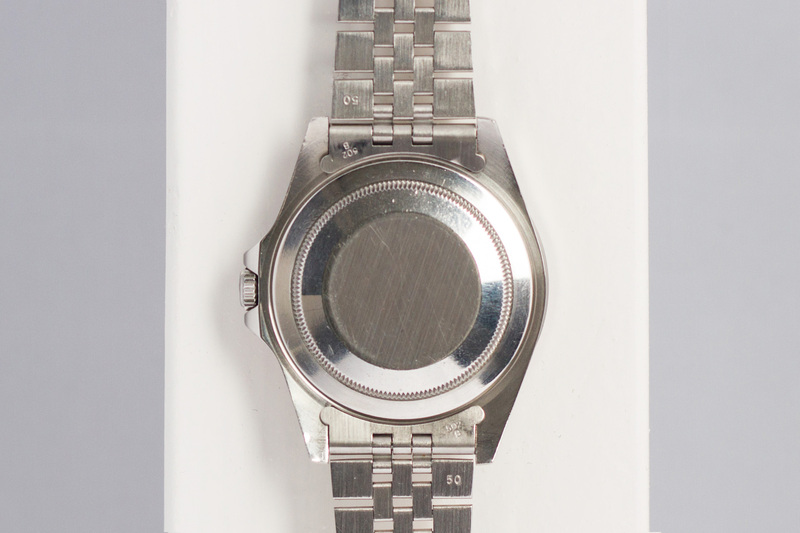 The entire movement has been fully serviced and naturally the watch will be sold with a twelve month warranty. 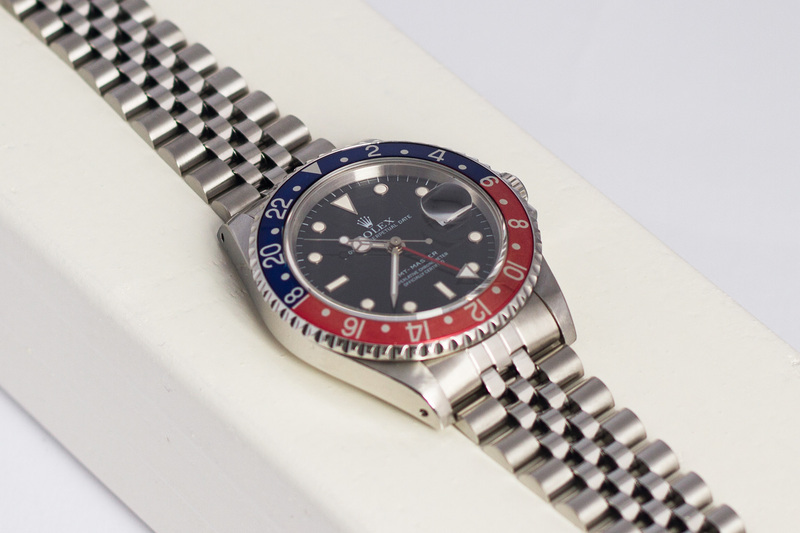 Because of the overall great condition of the case we chose not polish it, if you feel different about this we can have the case polished once you obtain the watch. The choice is yours.